Your business is anything but ordinary. That’s why we want to make sure your insurance plan is just as unique as your investment. We’ll leave it up to you to run your company in Illnois. But leave it up to All Suburban Insurance to provide superior Barrington IL business insurance coverage. Serving the counties of Lake, Cook, McHenry, Will, Kane and Dupage, we offer business insurance products for companies of all sizes. As an independent agency, we’re not just loyal to one company; we deal with a variety of carriers to ensure you get the policy that fits your specific requirements and budget. We cover everything from commercial property and general liability, to workers comp and inland marine insurance. You work hard for your business. Count on All Suburban Insurance to handle all your business insurance needs in Barrington, Illnois. 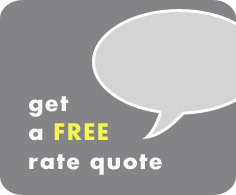 Start a Free Business Insurance Rate Quote, or call us at (847) 381-7557 and let us demonstrate why we are one of the leading independent insurance agencies in Illinois, Wisconsin, Arizona and Florida. For more information on business insurance, click here.